There are some pictures for "Dizzy on Mars". 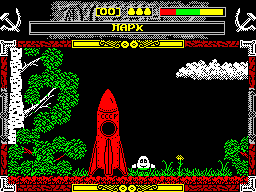 And here -- redrawing for "Dizzy Z" (383 Kb). ("Codemasters"). All rights reserved. Dizzy and The Yolkfolk created by The Oliver Twins.